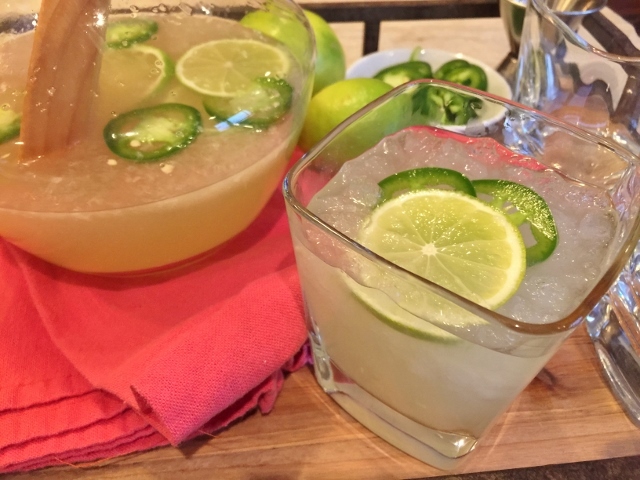 Skinny Jalapeno Margaritas - Recipe! - Live. Love. Laugh. Food. 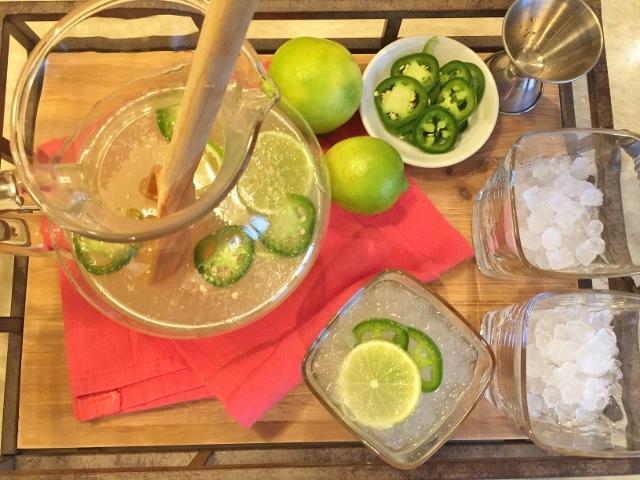 With the Superbowl on the horizon, I thought I would create a fun cocktail to drink during the game. 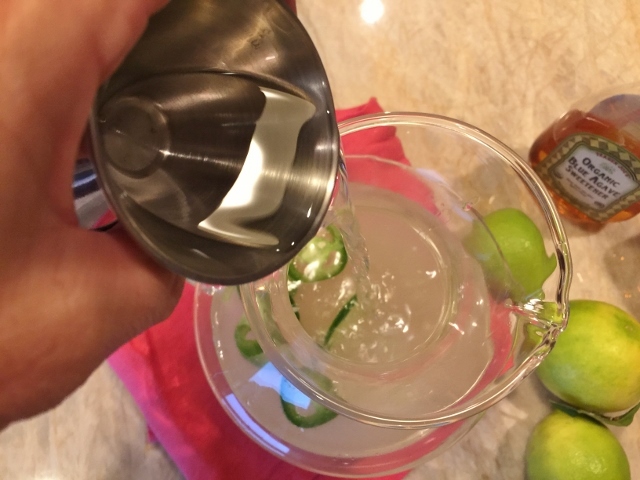 I love skinny margaritas because you can enjoy a refreshing lime tequila concoction without consuming too many calories. 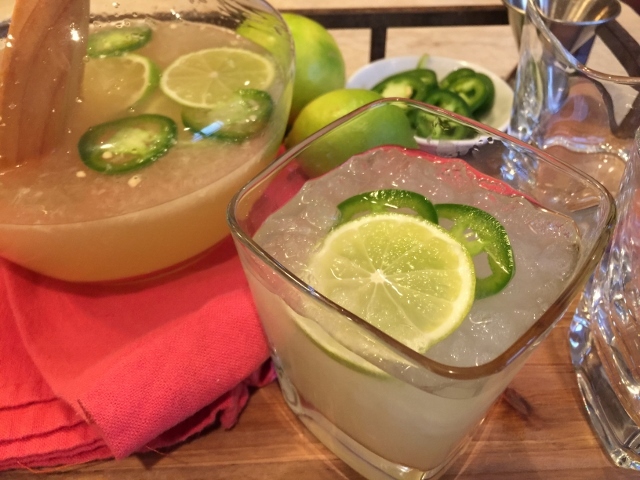 Adding jalapenos to margaritas has been a trend in most cities for a while, but I wanted to try it for myself at home, to see if I actually enjoyed a bit of heat in my drink. 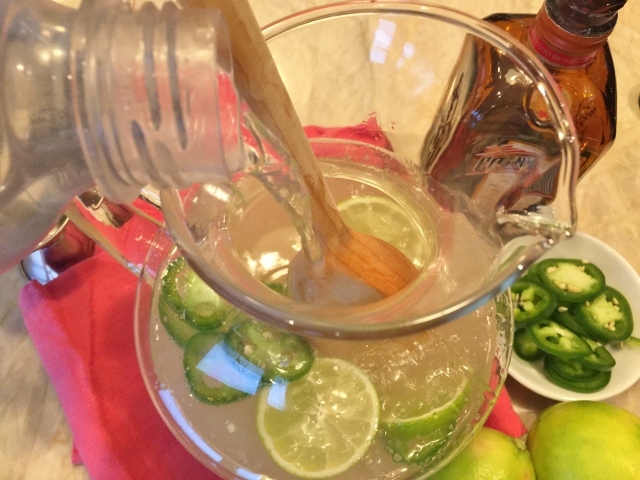 Much to my surprise, I just love this recipe for Skinny Jalapeno Margaritas and I think you will too! 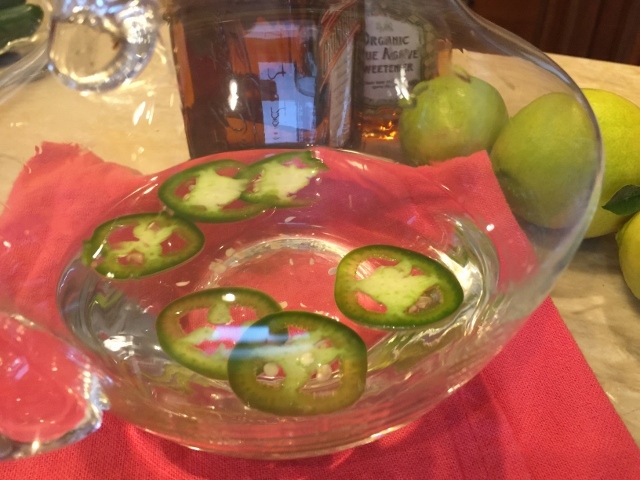 Let the jalapeno slices infuse in the tequila for a few minutes first, then build the cocktail in a pitcher and stir. 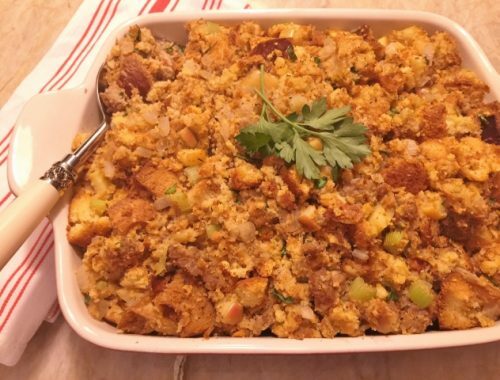 It’s that simply delicious and definitely enjoyable with football fare or other festive appetizers. 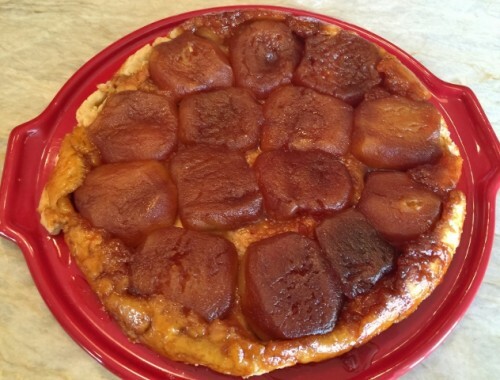 You can double the recipe for larger parties or just prepare a fresh batch as you go. 1. 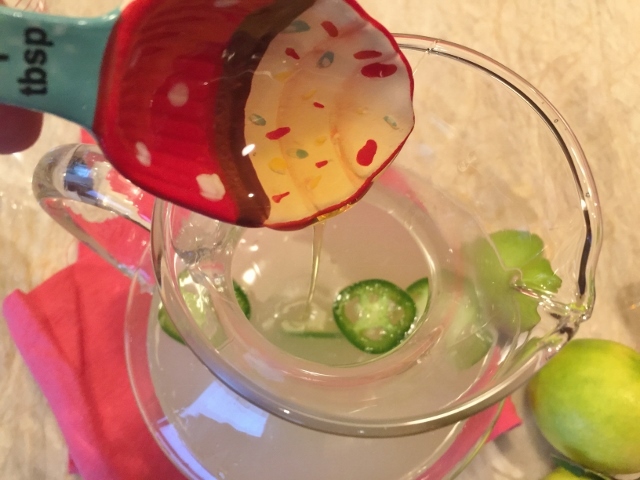 In a glass pitcher, add the tequila and 6 slices of jalapeno, let infuse for 10 minutes. 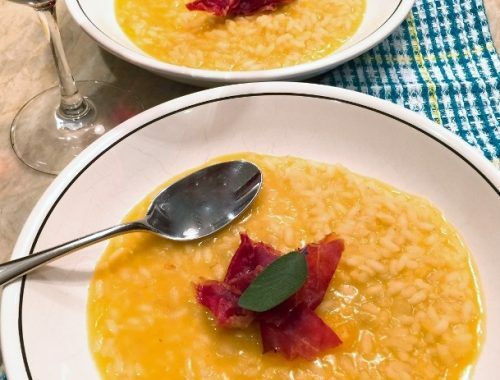 Pour in the lime juice and stir. 2. Then, add in the Cointreau and agave nectar, stir to combine the flavors. 3. 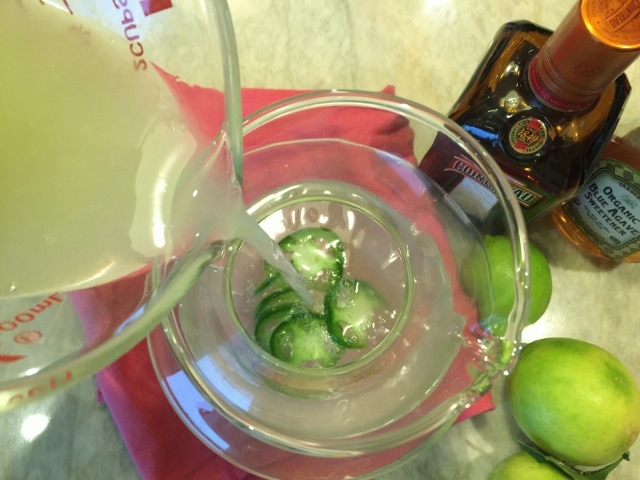 Pour in the sparkling water and add a few slices of lime, stir to combine. 4. Fill glasses with crushed ice and pour in margaritas. Top with a slice or two of jalapeno and a slice of lime. Enjoy! What brand of tequila do you use? Also, do you recommend a flavored sparkling water (like lime?) or a non-flavored sparkling water?